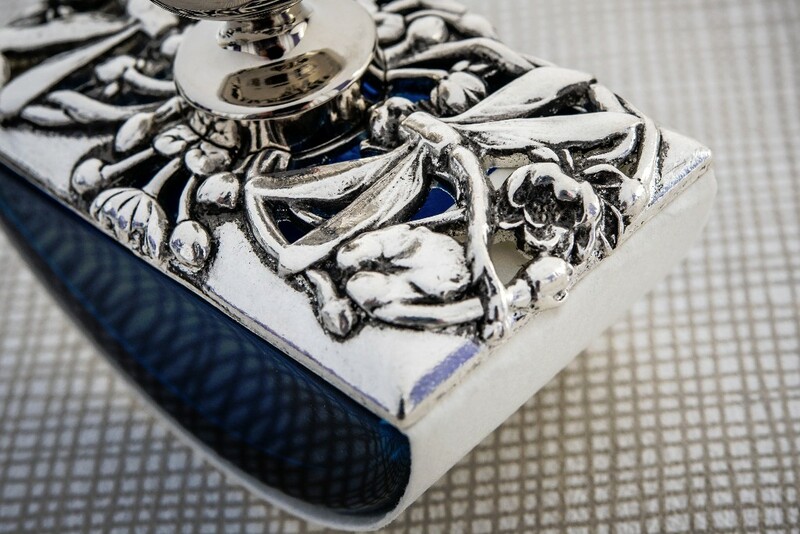 I'm delighted to welcome you to Manuscript 12 - the latest newsletter from Bespoke British Pens. As usual, it's packed with news and details of new releases from BBP. 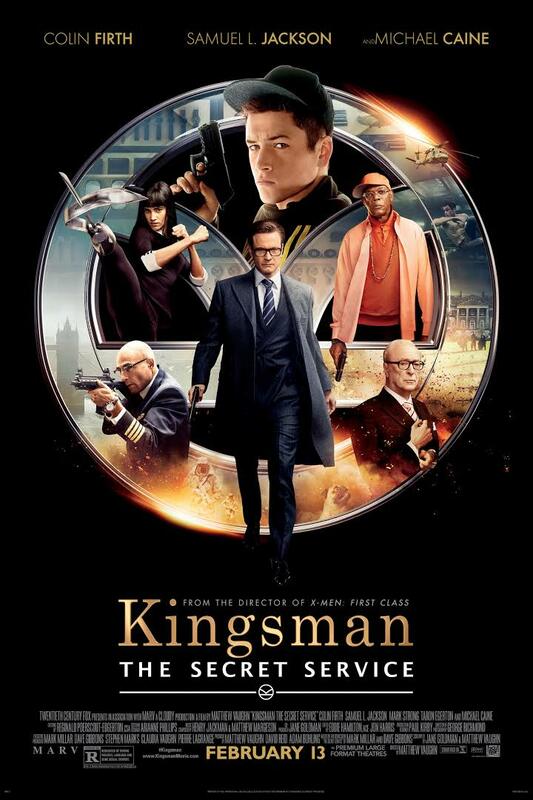 Movie News - Kingsman is back! 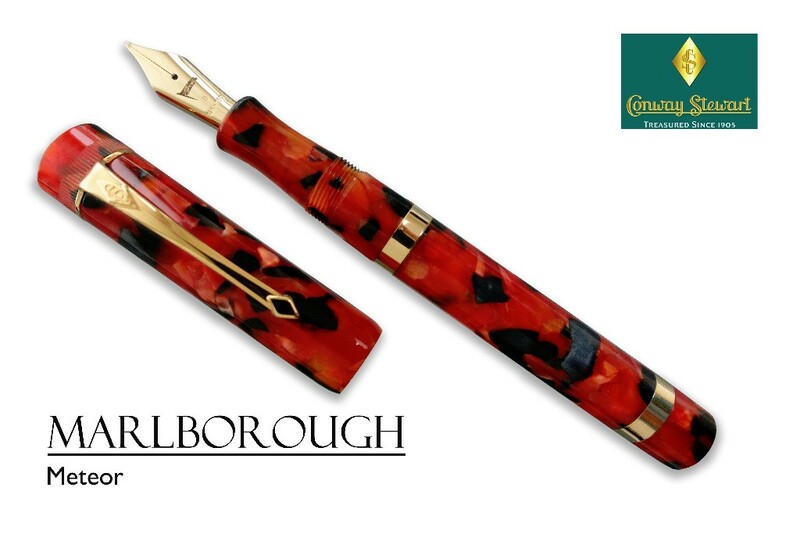 In addition to the pens provided for 'Darkest Hour', the upcoming new British film about Winston Churchill mentioned in Manuscript 11, we have also produced all the pens for the second Kingsman film, Kingsman: The Golden Circle which is due for release in late September in the UK and early October in the USA. The new Kingsman pens are once again engraved with the cryptic 'Oxfords not Brogues' message. We will let you have full details of the pens' release in a future issue of Manuscript. I mentioned in the previous issue of Manuscript that we had recently set up a number of international websites in local languages so we could reach out to pen enthusiasts in many more countries around the world. It's true to say that these new sites have been 'less than perfect' in the first couple of months with images disappearing for days. Suffice to say that we apologise to any customers who may have been confused or disappointed with this service. We are working very hard with PayPal to improve the technical side of the sites and think we are almost there now. You will find lots of information about new releases in this newsletter. If you'd like more information about any of the pens shown, just click on the image and you'll find much more information on the relevant web page. If you enjoy reading 'Manuscript', please forward a copy to your pen friends and colleagues and express your enjoyment by 'liking' us on Social Media. You'll find all the links at the bottom of this email. It all helps to spread the word about BBP worldwide! It's sometimes easy to gloss over the details of every pen we produce, so here's a quick resume of the most recent releases. First up is a new Wellington. If you are already familiar with this CS range, you'll be well aware of its elegance and subtle curves, if not, then take time out to study this beauty! 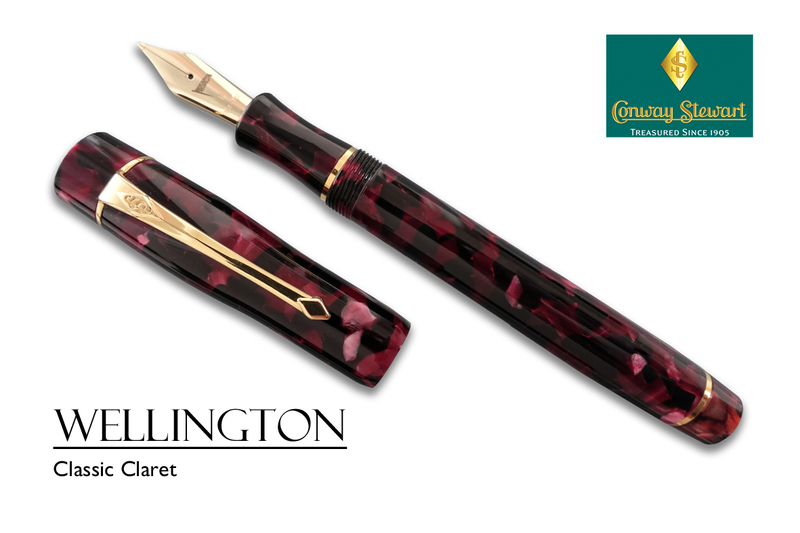 Everyone who has seen this new version of the Wellington has been struck by the natural beauty of the Claret Claret acrylic. It's a complex combination with a luxurious mix of marbled burgundy and black tones and the occasional highlight of white pearl showing through. The traditional gold-plated Conway Stewart clip adds an elegant touch and combined with the solid gold rings at the top of the nib holder and on the top of the barrel, gives a true luxury feel to the pen. If you'd like to add the Wellington Classic Claret to your collection you'll need to hurry - there are only 2 left! The magnificent Churchill Marine Blue - Sold out in 48 hours! Frequently we are surprised by the speed at which our new releases are snapped up by eager collectors, but we were gobsmacked by the reaction to the release of this Churchill. It was launched on Friday evening and had sold out on Sunday! I think we all agreed that this particular colour had something special about it, but to sell out within 48 hours was simply staggering. The point to be made is... if you see something you like you need to act fast to make it yours! One of the great surprises we have found in working with the stock of components we purchased from the Conway Stewart factory sale, has been the unpredictability of what we find. Because we were unsure what these particular models were they were looked over for many months and sat on a shelf in our stockroom. Late last year Peter, our Production Director. decided to do some investigation and discovered the history of the Raleigh and we all agreed that they would make superb additions to our range. And voila! "Just received the Churchill fountain pen in burgundy, and all I can say is wow!! 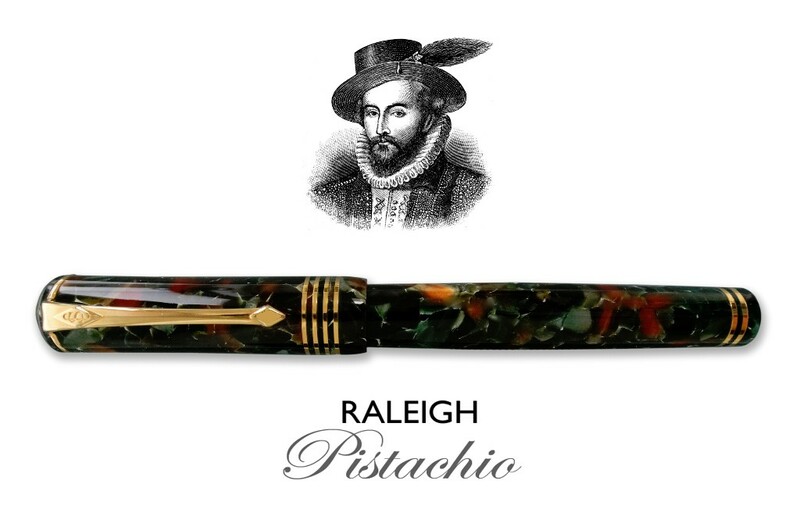 Beautiful pen, excellent craftsmanship, amazing finish, and nib writes so smooth it glides effortlessly on paper. I absolutely recommend Bespoke British Pens to anyone who is on the fence trying to decide on purchasing a pen from them, you will not be disappointed. On top of the excellent pen, customer service is stellar, David Cooper was amazing, answered all my questions and was extremely patient . Can't wait to order another pen from BBP in the near future probably a Winston for myself, the Churchill was a gift for my wife (I do plan on stealing it though once in a while from her :) ) Thank you again BBP !!" Here are links to a couple of items featured in the media recently which I think you will enjoy. The Foxley Docket promotes the Best of British and is a Luxury Lifestyle Magazine about artisans, food, drink and accessories. It features many of our products on its website and blog. Here's the latest issue which features Henry Simpole's 1907 Exhibition Plunger-filler. 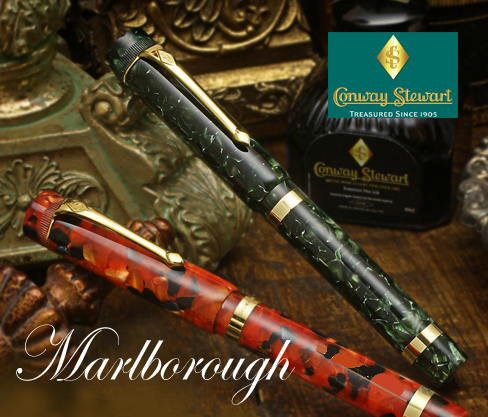 As shown at the start of this newsletter, we have just released details of two new Marlborough models - in Classic Green and Meteor and they both look superb. I know opinion is divided on green pens. Some people love them, others can live without them. 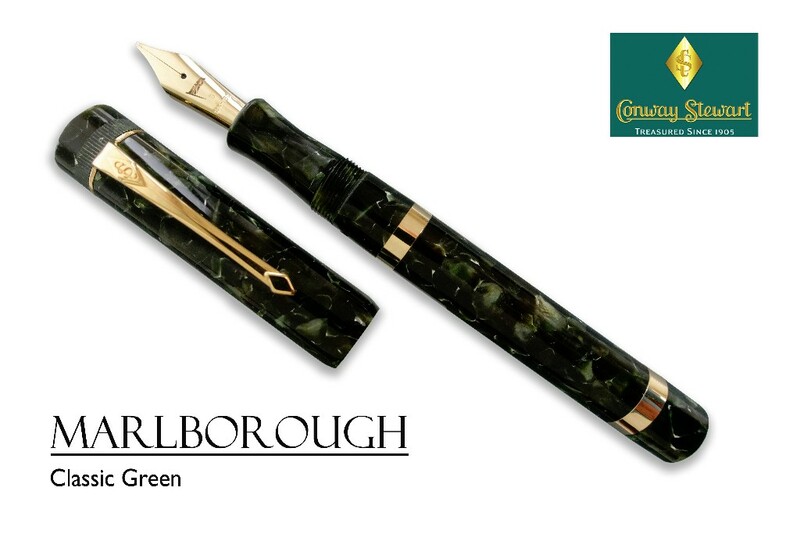 One thing is for sure... there is no finer pen than the Conway Stewart Marlborough in Classic Green - unless of course you are a red pen fiend, in which case the Meteor cannot be beaten! The choice is yours. "Since November I got my Dragonfly Blotter, so it is about time to give a little review of this essential desk accessory. It is great! I love the teal glass heart which gives it a weighty feel. At the same time the opaque glass give it rather lightsome look. 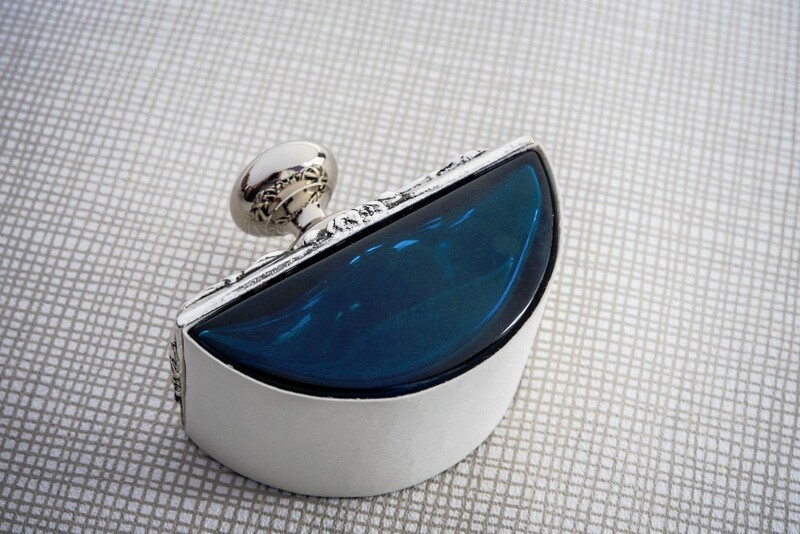 This look is enhanced by the silver plated Art Deco Dragonfly motive and handle on the top. For me it has the perfect shape and size. It rolls with ease over a large handwritten signature or a few lines of spaced text. The blotter paper absorbs ink surplus effortlessly. I like this especially when I am writing my envelopes on both sides. Replacing the blotter paper is an easy fix. Earlier I bought a Dandy Bronze and a Marlborough Vintage lever fill pen and this Dragonfly Blotter fits nicely in my little pen family. I love the Conway Stewart fountain pens and I love this Blotter. 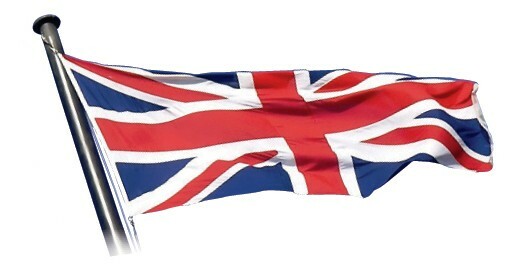 Bespoke British Pens again gave a quick, clear, and excellent service." There are lots of new pens in the pipeline for the next couple of months, so keep your eyes peeled for the special email release for each one. First, two new Churchill models in unusual acrylic colours - Silver Storm and Peppered White. Next, the popular Conway Stewart Wordsworth, this time in Bracken. It looks superb! 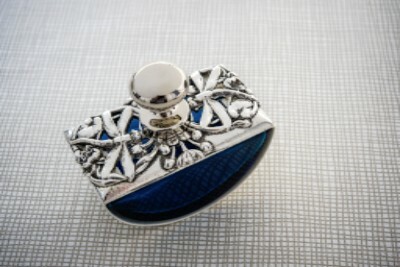 We have also got a Series 100 in 'Demo' a blue/black Conway Stewart acrylic that looks fabulous when displayed with sterling silver fittings. There's also the new range of acrylic Stratford pens with sterling silver fittings and the new version of the Conway Stewart Churchill as a plunger-filler with a size 8 Conway Stewart nib. Copyright © 2017 Bespoke British Pens Limited, All rights reserved.